Pakistan is among those countries which are having lowest budgets for the most needed sector which is education. A county with this much population and low focus on education will soon end up with ignorant and illiterate majority which will increase the turmoil we as a nation are facing. There is a huge platform for so many things to change; few of them are listed here. We can start with the identification of the number of the kids which are out of the schools. The economy of the nation has not been able enough to manage to get all the kids in the schools and since the expenses are too much for a single breadwinner to manage, the kids have to compromise and work for the family. We need to get a better image among the parents mind that education will eventually help them earn a lot better than they are making now. 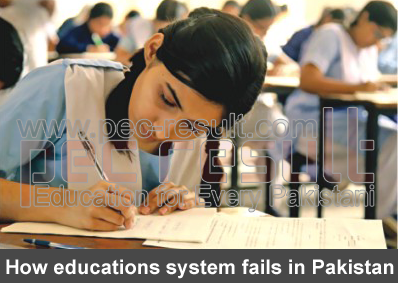 The educational divide is another major constraint which has ruined the overall education system. There are no standards for a school to be declared as secondary or primary schools. Some kids sitting and reading under a tree in a far off village may be referred to as a primary school as a fully equipped school with a large building and a playground in a city. Same is the case with the private and public sector schools; there is a lot of difference in the curricula of the schools as well which are developing a nation with confused minds. Some are reading novels in their fifth grades and other are struggling to know how to make sentences. This divide has done pretty much damage already and its time to be on the same page for the educationist and the policy makers. Another major factor which is keeping the kids from the schools are the transport facilities. The facilities which are present in big cities are not safe and in the villages, they are not present at all. The kids have to walk several kilometers to go to the school which eventually leads to the students getting out of the school since they cannot manage to travel this much on daily basis. Talking about women and their education, Pakistan is the country where they are given the least importance and there are obvious reasons for that. Parents are the one who can be mobilized in this regard and there is a need to change their minds. We can aware them that education is far more important for a girl than to a boy since she has to raise a whole family in her coming days. Advocating parents and ensuring the safe atmosphere of education can get more girls in the schools than they are now. There are many different ways to get things done and one of them is to offer scholarships by the private schools. The government can manage to get the schools subsidized utilities and in return can manage to have to quota for poor kids in better schools where they can shine. There are many things which can be done but all it needs is a focused government who really wants to eradicate the issue.